A 24-hour strike by Derbyshire firefighters is now well underway and local residents are being urged to take extra care. Members of the Fire Brigades Union (FBU) walked out at 7am this morning in a long-running dispute over pensions. During the strike, Derbyshire Fire and Rescue Service is providing an emergency response, but at a reduced level. 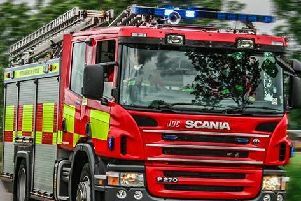 Assistant Chief Fire Officer, Gavin Tomlinson, spokesperson for DFRS said: “Whilst the industrial action is on-going, we will still be responding to 999 calls; however we are asking people to only call 999 if they really do need a fire engine. “Our priority during times of industrial action is to respond to those priority calls where a life may be at risk or someone needs to be rescued. If we respond to non-emergency calls then those most in need of our help could be at risk.